While it is unknown if the copycat effect was a contributing factor in Bourdain’s death, given the timing and the fact that both Spade and Bourdain died in the same manner, it is possible. With any type of crime, from suicide to mass murder, there is an increased risk of similar events occurring in the near future. Since suicide is, obviously, deadly, this is of extreme concern. News outlets must take care in properly covering the deaths, to ensure that depressed individuals, especially those who are already contemplating suicide, are empowered to seek help, rather than more convinced that the answer is to take their own lives. People view celebrities as models, so naturally the copycat effect would be stronger when it is a celebrity involved. On the other hand, celebrities can be of great service when they serve as a role model for these situations. Logic’s recent hit song, for example, has also helped to increase the number of calls to suicide hotlines. It is distressing, in a way, that it took the deaths of two celebrities for our society to begin to take a hard look at the causes of suicide, and the actions necessary to prevent more deaths. While people are currently publicly mourning the celebrities who recently passed, the three main groups in which suicide is of the most concern – veterans, teenagers (especially girls), and older men – remain largely in the background. While the fact that we are now talking about suicide is great progress, there is still substantial stigma that must be dismantled before we see the suicide rates dramatically decreasing; if a person experiences stigma, he or she is much less likely to seek helpThis is perhaps more severe for suicidal ideation than for other mental health disorders because not only do suicidal individuals fear the reactions from others, but they often also fear being hospitalized against their will If there is a positive aspect of the current circumstances, it is that there has been a substantial increase in calls to suicide hotlines in the past couple of weeks, which suggests that people are feeling less stigmatized. Hopefully, as time passes from these two shocking deaths, suicide will still of great public attention and concern, and people will feel more comfortable both talking about mental health and taking the steps to get help. If you are feeling depressed or suicidal, please seek help! Similarly, if you know someone who is depressed or suicidal, please encourage them to seek help, and reach out to them regularly! 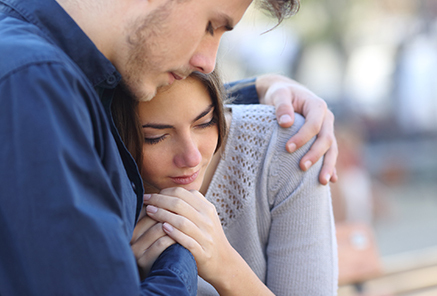 The following list is of emergency services for suicidal individuals; it is also important to connect with a local therapist for long-term assistance. For residents of Bethel, Bridgewater, Brookfield, Danbury, New Fairfield, New Milford, Newtown, Redding, Ridgefield, Roxbury, and Sherman. prevention of suicidal behavior. Depression and Anxiety, 33(6), 460-463. Wu, I. C., Bathje, G. J., Kalibatseva, Z., Sung, D., Leong, F. L., & Collins-Eaglin, J. (2017). health stigma profiles. Psychological Services, 14(4), 490-501. About the Author: Jessica is a Senior at Western Connecticut State University studying Psychology as part of the Kathwari Honors Program. She is a Research Assistant at WCSU’s Cognition lab and President of the same university’s Psi Chi Chapter and a member of the Psychology Student Association.